Every time I turn around, someone else in my street has just added a brand new caravan or camping trailer to his or her, toy shed. As we speak I’m awaiting the completion of my custom, handcrafted RV so that I can finally join the ranks of the grey-nomads based here on the Sunshine Coast – but I still have much to learn, and new toys to buy. Luckily for me, and anyone else like me, there’s an event on the horizon that promises everything we could want or need for our road-bound touring plans. The 2018 South Queensland Caravan, Camping, Boating and Fishing Expo is one of our region’s largest shows – showcasing the latest in caravans, camper trailers, motorhomes, boating, vehicles, auto and 4×4 accessories, camping gear and outdoor accessories – with a focus on local and regional exhibitors – all in the one place. 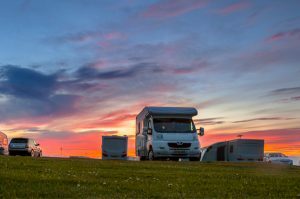 If you are looking at upgrading or purchasing a new caravan, camper trailer, motorhome or boat, or you’re just keen to take a look at all the new products, you just can’t go past this event. Plus browse through the dozens of auto, 4×4 and camping accessory companies – not to mention some fantastic show only deals and great specials on offer just for patrons of the Expo. Amongst the ranks of the featured exhibitors are a number of fantastic, local companies offering some incredible products. Of particular interest to the adventurous amongst you would be the Jawa Off-road Camper trailers. This group is Australian owned and operated, offering a selection of off-road campers literally built for the harsh conditions of the Australian outback and mountain roads. Another local on show this year is the fantastic Suncoast Caravan Service crew. These guys are a local, family operated business situated right here in the heart of the Sunshine coast – Maroochydore! 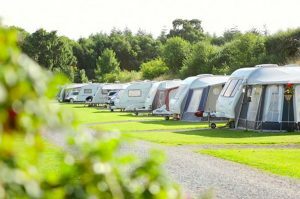 They specialise in caravan servicing, repairs, aftermarket add-ons, safety certificates and warranty work. For those after a bit more grunt, Power Curve Performance will also be making a showing of itself this year. Boasted as the Sunshine Coast’s local premium 4×4, automotive performance, dyno and service destination – including diesel performance packages, custom engine tuning, clutch and exhaust systems just to name a few. 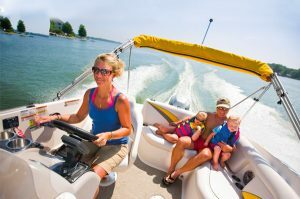 There really is an incredible line up this year of exhibitors tuned to help you enjoy your twilight years on and off-road at the South Queensland Caravan, Camping, Boating and Fishing Expo this April 20th to 22nd at the Nambour Showgrounds. Whatever it is you’re after, or curious about, someone at this year’s expo is sure to have the answer for you. For information on the Expo and exhibitors visit the official Expo website, because it’s time to get on the road again.